Summary (from the inside flap of the book): On a crisp September morning, while walking a bucolic woodland trail, Rina stumbles upon human remains once buried deep beneath the forest floor. Immediately, she calls her husband, Peter Decker, a former detective lieutenant with the LAPD now working for the local Greenbury Police. The body has been interred for years and there is scant physical evidence at the gravesite: a youthful skeleton, a skull wound, and long, dark strands of hair surrounding the bones. 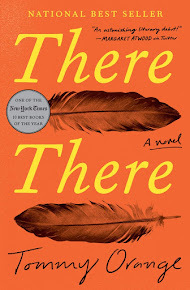 As Decker and his partner, Tyler McAdams, investigate further, they realize that they're most likely dealing with a missing student from the nearby Five Colleges of Upstate--a well-known and well-respected consortium of higher learning. And when more human remains are found in the same area, Decker and McAdams know this isn't just a one-off murder case. Short-staffed and with no convenient entrée into the colleges, Decker enlists Rina's help to act as his eyes and ears on campus. Winding their way through a dangerous labyrinth of steely suspects and untouchable academics, Decker, McAdams, and Rina race to protect their community from a psychopathic killer still in the area--and on the hunt for a fresh victim. 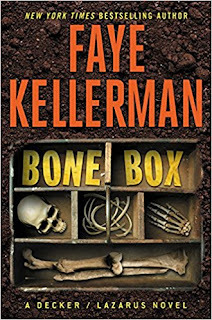 Review: I love me a Faye Kellerman mystery and this one was no exception. I love that I know the main character, Peter Decker, his wife, Rina, their kids and families, and his co-workers. It's like reading about family that you haven't seen in a long time. The Deckers have moved from LA to upstate New York where they live in a small town containing a five-college consortium. Reading this book, I realize she may have based those colleges on the Claremont Colleges in Claremont, CA (Harvey Mudd, Claremont McKenna, Scripps, Pitzer, and Pomona). My daughter is now at boarding school in Claremont so I've become very aware of these amazing colleges. I realize that has nothing to do with the book, but I found it personally interesting. This novel is about 3 bodies found in the woods, missing college girls, professors that seem a little sleezy, arrogant college boys, and drug-dealing college girls. What else can I say? The writing is good, the story is intriguing, and the mystery rolls out well. 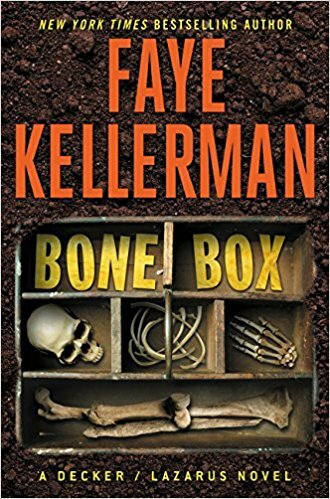 If you've read and liked Faye Kellerman before, you'll enjoy this book. If you haven't read her books before, start at the beginning with Ritual Bath so that you can get to know the family of characters.